The Tour AD DI “DEEP IMPACT” Hybrid shafts are designed to provide golfers with more power and stability in a hybrid golf shaft. 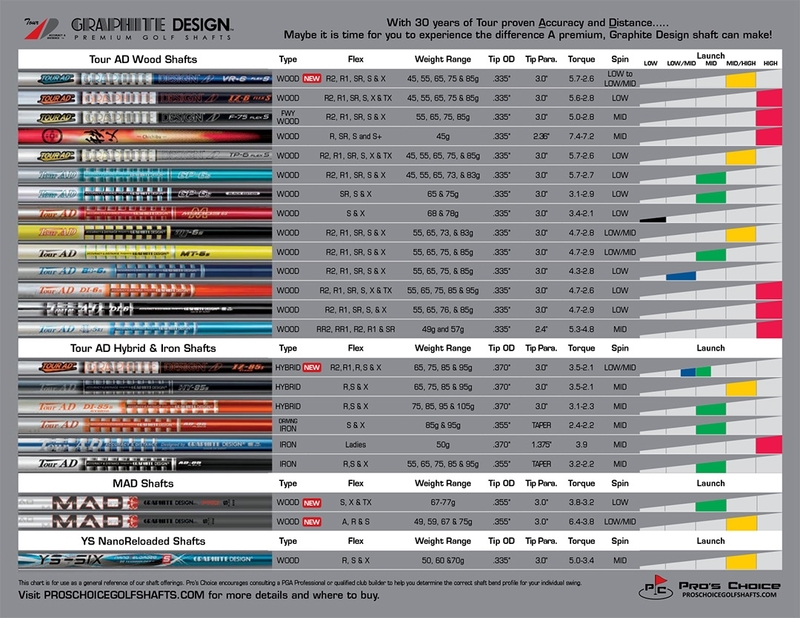 Designed and manufactured exclusively at the Graphite Design factory headquarters in Japan, the Tour AD DI Hybrid shafts are available in four weight categories of 75g, 85g, 95g and 105g. 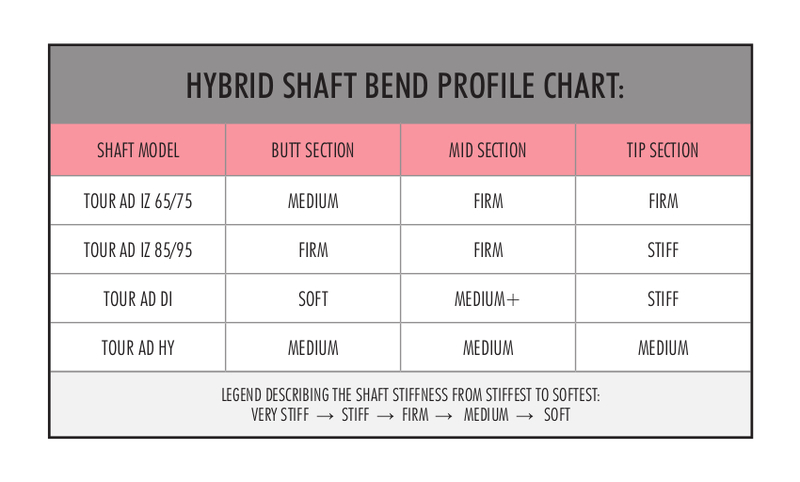 The 75g and 85g shafts are available in R, S and X Flex and the 95g and 105g shafts are available in S and X Flex. The Tour AD DI Hybrid is designed with the same performance characteristics as the Tour AD DI Wood shafts for a mid/high trajectory with mid spin and pin point accuracy. Players of all skill levels will benefit from the exceptional control, workability and superior performance of the Tour AD DI Hybrid shafts. The result, the Tour AD DI Hybrid shaft delivers players to the next level of superior distance with consistent trajectory control and will create a “DEEP IMPACT” on your game! Designed to promote Mid launch angles with Low/Mid to Mid ball spin rates.